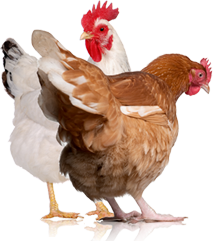 Backyard chickens are all the rage nowadays in rural and urban areas alike. Many towns and even cities are changing their laws to allow a small flock of chickens, but why not consider a few ducks instead? Ducks might actually make more sense for your family and be easier on your yard and your neighbors. They don’t need much space and easily adapt to urban living. Contrary to popular belief, duck don’t even need a pond or lake to swim in: A small kiddie pool is sufficient and will keep your ducks happy and healthy. There are other benefits to raising ducks in an urban environment, as well. 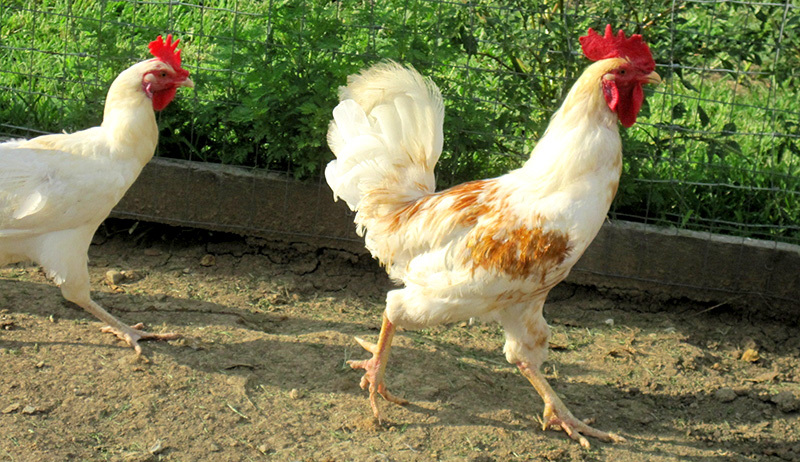 While roosters are generally not allowed in urban areas (even if hens are) because of their crowing, male ducks, called drakes, don’t even quack: They just make a soft, raspy sound. And unlike hens, which sing their “egg song” proclaiming to the world that they have laid an egg, female ducks stealthily lay their eggs under the cover of darkness just before sunrise—and don’t feel the need to let anyone know. You could easily keep a flock of a few females and a male duck in a small urban backyard, and all your neighbors would hear would be the occasional quack from the females. Female ducks mostly just chatter quietly unless they get scared or excited.And its likely that an occasional quack isn’t even going to faze your neighbors, who presumably sometimes hear wild ducks flying overhead. Ducks may trample your lawn a bit and nibble on your flowers and bushes, but they won’t create a barren wasteland in your backyard like chickens will. Ducks don’t scratch out plant roots or make deep depressions in the soil to take dust baths in. While it’s true that ducks can and will eat anything green within their reach, as long as you cage or fence in your small plants and bushes until they are tall enough that the ducks can’t reach the tops, they should be fine. You can successfully landscape your backyard, even with ducks sharing it, and as an added bonus, ducks are wonderful for grub and insect control. Bear in mind, ducks tend to drill quarter-sized holes in the dirt looking for bug larvae, but consider it beneficial aeration. Other than Mallards, domestic ducks can’t fly, so keeping them contained in a small urban backyard is fairly easy. A 2-foot fence is usually high enough to keep all but the most determined ducks confined, and a fence 4 feet or higher would certainly keep your ducks out of your neighbor’s flower beds. Conversely, your average chicken can easily clear a 4-foot fence. Be aware that ducks are extremely vulnerable to injury or death from dogs, hawks and other daytime predators, so if you’re not home during the day, an enclosed pen is safest for your ducks. Ducks don’t need roosts or nesting boxes in their house. A small dog house, playhouse, garden shed or tool shed all are very easy to convert into a perfectly functional duck house merely by attaching a door with a predator-proof latch, some ventilation windows covered in 1/2-inch hardware cloth, and a thick bed of straw on the floor to keep your ducks comfortable and safe from predators at night. Because finding a livestock or avian vet to treat your flock can be tough in an urban area, the fact that ducks are generally healthier with stronger immune systems than chickens is a plus. A duck’s normal internal temperature is around 107 degrees F, making the body inhospitable to most parasite and bacteria. 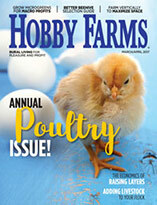 Ducks aren’t susceptible to coccidiosis, Marek’s disease or other illnesses common to chickens. And in light of the recent spread of the avian flu, the fact that ducks generally don’t set sick from it (but can be carriers), is also a benefit over chickens, which usually die if they contract it. Because ducks spend so much of their time in the water, they also tend to be far less susceptible than chickens to mites, lice and other external parasites. For those who work all day, it’s a decided benefit that ducks lay their eggs before the sun comes up. Before work, when you go out to feed and water your ducks and let them out into their pen for the day, they will likely already be done laying and you can collect the eggs instead of leaving them in the duck house all day to possibly freeze in the winter, be accidentally broken, or be eaten by rats, snakes or the ducks themselves. Because duck eggs are higher in fat, richer in flavor and better for baking than chicken eggs, high-end restaurants, Asian markets and pastry chefs widely found in larger urban areas favor duck eggs and are often willing to pay a premium for them, so you might find a fairly profitable, ready market for your extra eggs. About the Author: Lisa Steele is the author of Fresh Eggs Daily: Raising Happy, Healthy Chickens…Naturally (St. Lynn’s Press, 2013). She lives on a small farm in Virginia with her husband and a variety of chickens, ducks, dogs, horses and a barn cat. 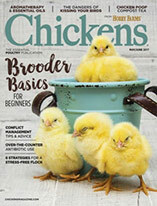 She’s a frequent contributor to various chicken keeping publications, as well as her blog, www.fresh-eggs-daily.com, and is an avid gardener, crafter, baker and knitter in her free time.